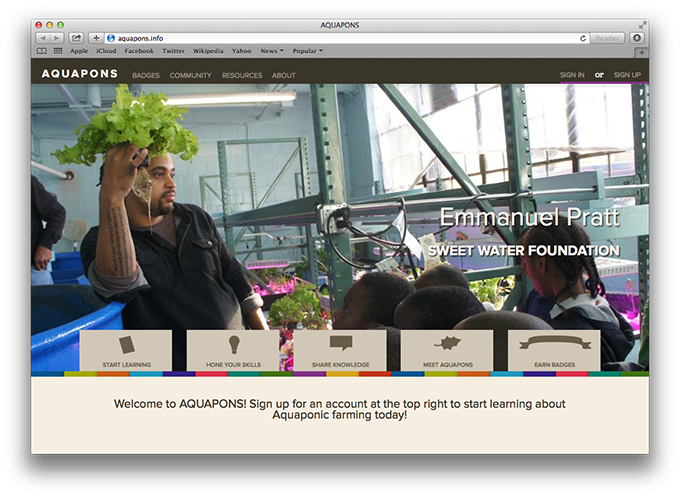 As part of a the HASTAC Digital Media + Learning (DML) Competition 4 Sweetwater Foundation was in need of help creating their interactive learning platform for Aquaponics. 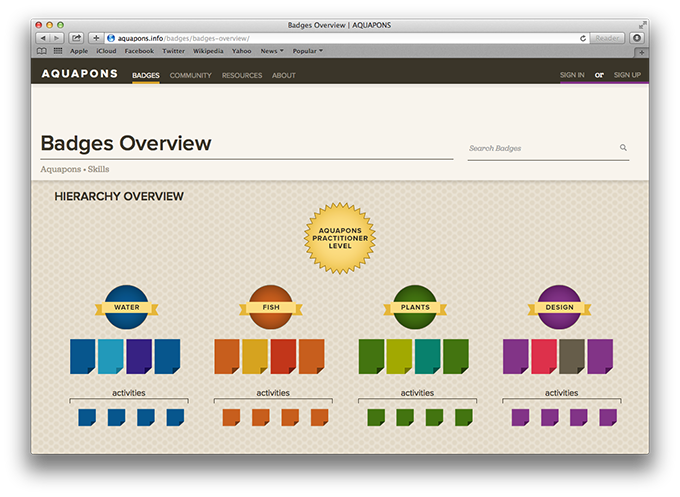 We designed and developed an interactive experience for both teachers and learners. 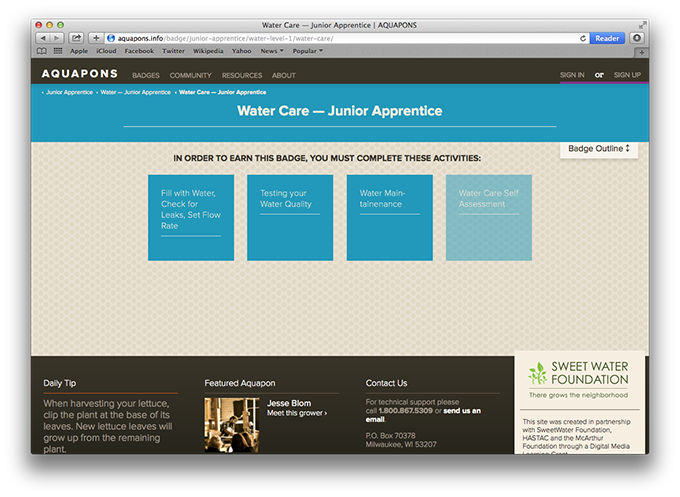 Using the knowledge and lesson plans from the Sweetwater Foundation team we implemented a system to facilitate their curriculum in a digital environment. 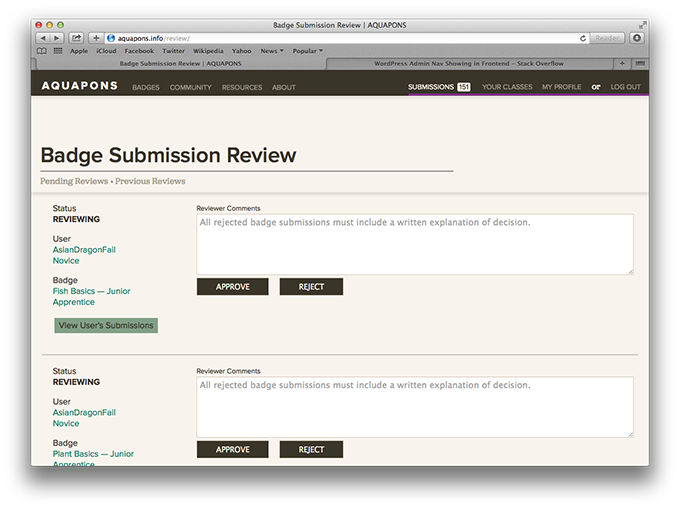 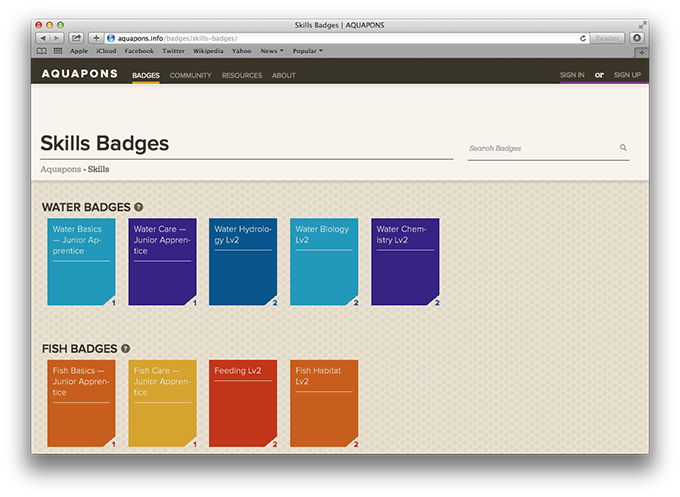 With a custom WordPress plugin, we provided the team with tools to review submissions and provide feedback/guidance or reward students with badges for their newly acquired knowledge. 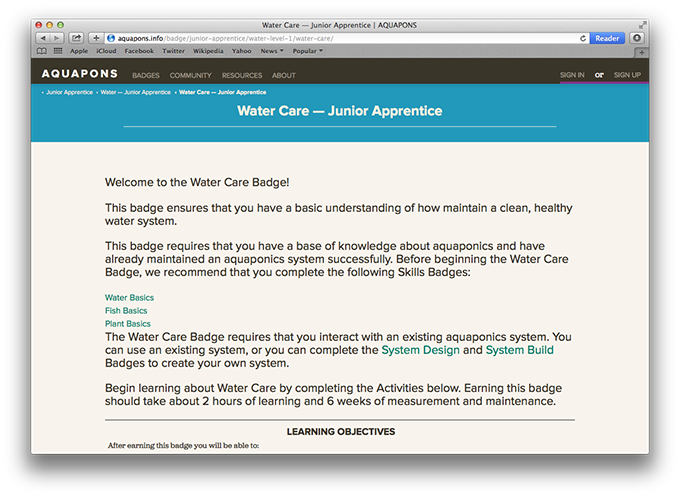 Based around the apprenticeship model, users matriculated through various stages of knowledge, continually encouraged to provide feedback to less seasoned practitioners.